I love working in Highland Park and University Park! Dallas Bathtubs does not operate like other refinishers. 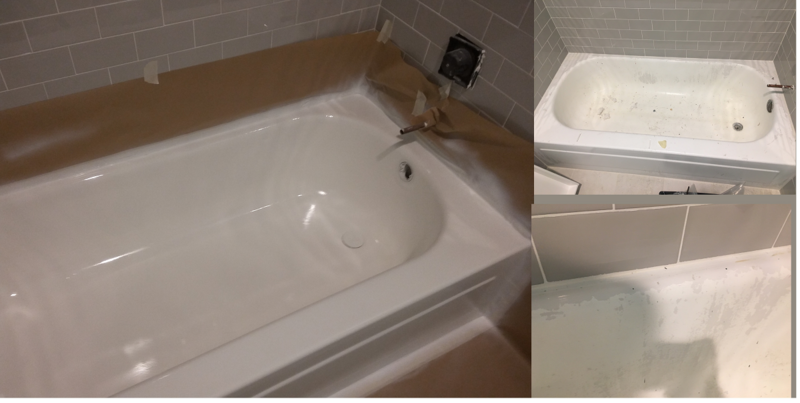 Painting bathtubs (just like apartment grade painting) in residential homes. I don't have that in me to do a quick fix that I know is going to peel and flake off! I personally do all refinishing work myself. The surface will be etched, then Silane which was developed by the aerospace Industry as a molecular bonding agent will chemically weld the finish coat which is the Factory color coating penetrated into the old surface and bonded. Dallas Bathtubs uses coatings made specifically for bathtub, tile, shower and sink refinishing. These are copolymer coatings infused with polyester and silicone resin. They can stay under water 7 days a week, 24 hours per day, 365 days a year and maintain a gorgeous glossy finish for the next 20 plus years. All work includes an 8 year transferable warranty with No Fine Print! Why Do I Love The Park Cities So Much? The People! I can provide the very best work that I can and I know it is appreciated! My prices are the exact same as they are for any other area of Dallas and surrounding areas. However, I always enjoy the refinishing work I do in Highland park and University Park! In return I make sure to apply 2 extra coats to the surface so you get a surface that mimics the look and feel of porcelain!